Got bored of the same old breakfast recipe rut? Do you want to spice up your breakfast environment? Then quit worrying and join with me as we explore the world of appetizing super healthy and budget friendly cuisines. Breakfast is a must for an energetic start. A healthy breakfast (along with drinking some lemon water) boosts your concentration in the boardroom and classroom. It helps in weight control, gives you more strength and endurance, and it jump-starts your energy levels for a more productive day. Here are seven tasty breakfast ideas for your recipe collection. Lavish and classic sautéed mushroom and tomatoes scrambled eggs is an ideal breakfast for weekends. Enjoy this sumptuous feast soaking up the morning sun with your loved ones. Pepper and salt according to taste. Heat a pan. Add some olive oil. Cut the stem of the mushrooms and put them whole with the flat side facing the pan. Take a small bunch of cherry tomatoes. Roast them along with the vine and place them near the mushrooms in the pan. Let the mushrooms and the tomatoes sit there in the pan on low heat. Remove the pan from fire after 3- 4 minutes. Cut a piece of the Sadler bread. Break open the eggs in a pan. Add the butter to the eggs. Kept it on the fire. Whisk it in the pan. Take it off from heat. Then go back to the heat. Do this 3 or 4 times. Treat it like a risotto; you cannot stop stirring it. If you do this, you’ll get creamy and fluffy scrambled eggs. Add some fresh cream to the eggs. 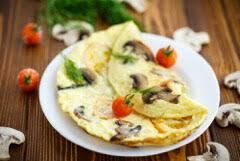 Serve the scrambled eggs on the toasted bread along with the roasted mushrooms and the vine of cherry tomatoes. Drizzle some olive oil over it. Amanda has tried her hands with black bean toast and avocado toast. She writes “I wanted to do a bit different, but still with a main focal point of toast”. She has used sun butter because there are a lot of people out there with peanut allergies. This superfood with ½ a sliced banana and a sprinkle of Chia keeps your stomach full, and your mind fueled. You can drizzle some raw honey to add a touch of sweetness. Bananas give you the vitamin B6 and potassium. Chia seeds are loaded with antioxidants and high-quality proteins. This breakfast is easy, healthy and delicious. So gobble it up in one go. Craving dessert for breakfast? Try this gluten free fruit bowl. Mckel writes, “The mix of fiber-rich and antioxidant rich fruits like blueberries, raspberries, strawberries, and blackberries utilize the best summer fruits –mixed in with apple or pear of your choice”. The crunchy toasted coconut shreds and dark chocolate shavings together with the fruits makes it a yummylicious breakfast. You can also add hemp seeds to bring in more healthy fats and proteins. 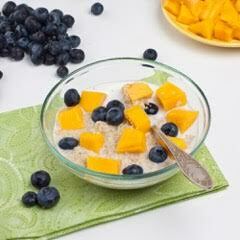 What an easy, delicious and super healthy way to start your day! Breakfast smoothies are a great energy booster. It helps in easy digestibility and nutrient assimilation. Throw in some passion fruits, banana, mango and orange juice. Blend it well. A nutritious summer smoothie is all yours in a jiffy. Gulp it down topped with ice cubes. Passion fruits are rich in vitamins A and C. Mangoes improve the eye health and enhances skin clarity. Bananas improve your digestive health. Loaded with peppers, olives, cheese, tomatoes and of course alfa alfa sprouts, this Middle Eastern open sandwich helps to start your day in high gear. These tender seedlings are rich in phytoestrogens, which reduce the symptoms of menopause. They are rich in vitamin K. The green, yellow and red capsicums provide a rainbow of nutrients. Laced with olive oil this open sandwich gives you a health boost at the start of your day. Appetizing and healthy, this coconut porridge fills you with nourishing nutrients to step out for a new day. The best thing about this porridge is that you can make a larger batch and keep it for the next morning. Jamie Oliver says, “This is the most delicious porridge and its very good for you”. You can either add autumnal fruits or mix it up with your favorite fruit and nut combos. Coconut milk is lactose-free and can be used by those with lactose intolerance. It provides electrolytes and prevents fatigue. The creamy texture and natural sweetness of coconut milk along with the antioxidant-rich blackberries, protein rich hazelnuts and chia seeds make for a heavenly morning treat. The grainy quinoa and oats pep up the nutrition quotient even higher. Jamie Oliver guides you about the use of asparagus. He writes “use wild or thin asparagus such as spruce-the spears from the first picking”. What a delicious way to enjoy tender asparagus! This dish takes about 25 minutes to cook and is super easy to make. The large free range eggs, asparagus, olive oil and unsalted butter are a great combination to pipe in all the essential nutrients into your body. Asparagus is a very good source of fiber, vitamins A, C, E and K. It is also a rich source of chromium, which boosts your energy levels. 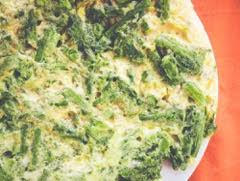 You can serve asparagus frittata hot or cold. Just remember to drip in some hot sauce, such as harissa to add more spice and zing. “Eat breakfast like a king”- this simple quote is so true. After a long night’s fast the body needs nutrients to function effectively. So never skip breakfast, if you are too time tried then blend a smoothie and gulp it down. Eat well, think positive and be successful should be your mantra of life.